A Swinging 60s Black Mop Top Wig – Ideal for a 60s theme, a Decades theme, or any fancy dress occasion! Whether you believe in Yesterday or you’re just ready to party, transform your Swinging 60’s look with this amazing Swinging 60s Mop Top Wig. 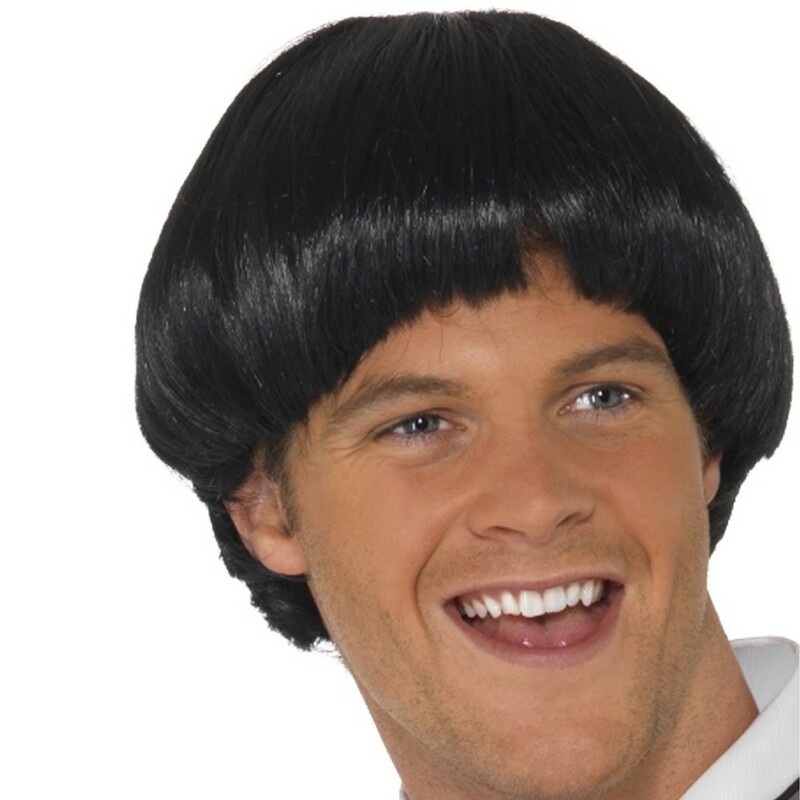 This Swinging 60s Mop Top Wig comes complete including a Black wig with Bowl Cut design. This fantastic Swinging 60s Mop Top Wig will be sure to impress, with this iconic black wig. Whether for a Beatles look, a 60s look, a Popstar theme, a Hippie theme, or any fancy dress occasion, this Swinging 60s Mop Top Wig will be sure to add the perfect finishing touch to your look no matter what the occasion! So party in style with this brilliant Swinging 60s Mop Top Wig. A Swinging 60s Mop Top Wig.